Save the dates for our 5th Annual Holiday Artisan Faire! Mark your calendars and set your reminders for the first weekend in December. Have yourself a merry ol’ time and shop ’til you drop! Discover artfully spectacular gifts for everyone on your list. 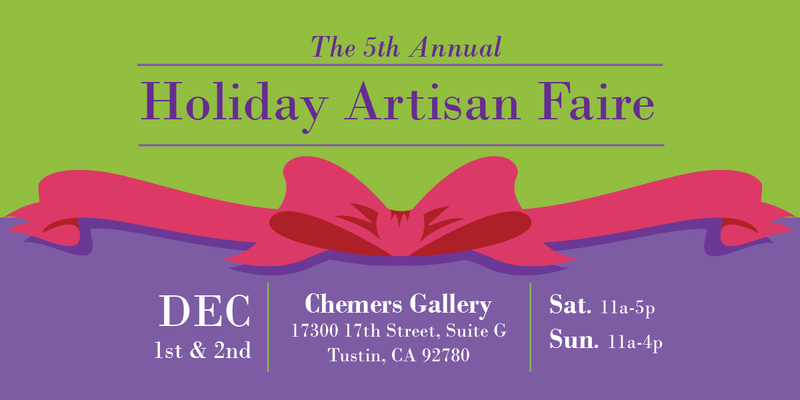 Indulge with Chemers Gallery and 21 artists, artisans and epicureans for our 5th Annual Holiday Artisan Faire! Keep your eyes peeled…we’ll soon be featuring artist spotlights, sneaky peekys and more as we prepare for the big weekend. Click on each artisan’s name below, to see examples of their work… but remember, they’ll each be bringing fresh new designs and exquisite new looks just for you and our Faire! Bare Naked Botanicals small batch vegan lotions and serums – food for the skin! Just your luck, Megan Jones will be joining us with her festive hair tinsel to help you get into the holiday spirit! Celebrate the start of Hanukkah with us as you spin the dreidel throughout the 2 days for your chance to win prizes donated by our talented artists and artisans! 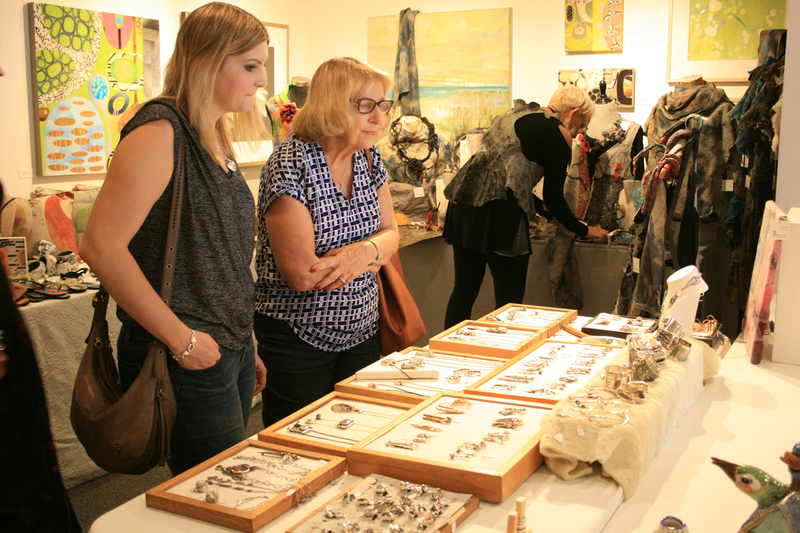 Artist spotlights to introduce you to or reacquaint you with our talented artists and artisans joining us December 1st & 2nd. Look for frequent updates on Facebook, Instagram and Linkedin. Follow our continuing blog with “what’s new” starting in November. This entry was posted in art gallery orange county, art gallery tustin, chemers gallery, chemers gallery tustin, jewelry, Uncategorized and tagged accessories, alluring scarves, amulets, art show, artisan faire, artist spotlight, balsamic vinegar, beads, beth marx, big weekend, bill bahret, boho, bowls, buckles, celebrate, ceramics, chemers gallery, chemers gallery enderle center, chemers gallery tustin, Christmas, crystals, deanna deeds, December 1 &2, delicate charms, elizabeth nadler, epicurean treats, fashion, flowers, gemstone, gemstones, gold, gourmet, gourmet salt, hair tinsel, handcrafted, handcrafted chocolates, handcrafted jewelry, handwoven scarves, Hanukkah, happy houses, harris family apiaries, holiday, holiday gift ideas, holiday gifts, holiday spirit, home accessories, home items, inspired by nature, inventive designs, janet seward, jc milner metalworks, jennie milner, joanna craft, karen boelts, keepsake boxes, limited collections, lisa mertins, little bridget jewelry, local art, local artist, local honey, luisa chocolatiere, mary hammond, medallions, Megan Jones, merry wennerberg, michelene berkey, mixed metals, monique selwitz, nuno felt, olive oil, organic, organic forms, pens, porcelain, positive messages, Raw Baby Chocolate, resin, scarves, semi precious stones, shopping, sneak peak, soft colors, solorful stones, spice blends, spice merchants, spirited muse, sterling, suzanne currie, table runners, tom borusky, turned wood, Tustin events, upcoming events, vegan dark chocolate, vintage buttons, wearable fiber, win prizes, wood on October 8, 2018 by Chemers.